I created this money blog to help women like you grow the financial JOY and SECURITY you so deeply desire. The world urgently needs YOU to be more successful, confident, and empowered with money. WHY? Because YOU are a better steward of money than most men – and it benefits not only you, but also your family, your community, and the world around you. Don’t live another day believing you have to keep feeling this way about money. 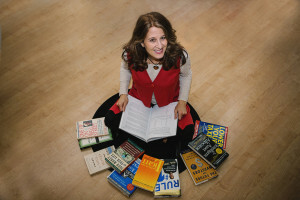 I’ll help you stop living with the buried stories and mindset that trap you. I’ll also show you simple steps to take control of your finances, create whole life wealth, and realize your dreams. When you grow your very own Money Tree, the world will THANK you for it! YOU are your very own money tree. Embrace being a money tree now and expand your financial life forever. 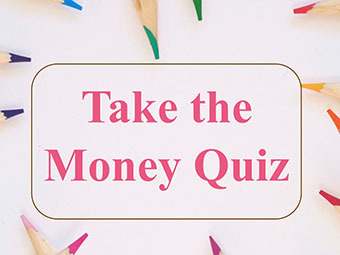 Grab a copy of the FREE Money Quiz here to uncover your hidden money types. Then, dive into this money blog and start learning! See you inside! 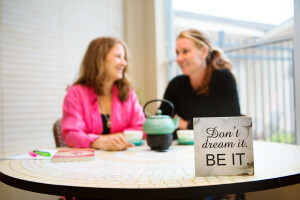 If you wanted to know a little more about me and what drives my passion for women’s financial well-being, then you might find it insightful to read about where it all started. It’s kinda private…and somewhat embarrassing. But, the truth is, most of us have embarrassing backstories around money. In fact, I was the poster child for almost everything a woman could do wrong with money. If you do read my backstory, you will soon see that that I “thought” I was doing it all RIGHT! I had the husband, the house, lived in a lovely town, and no credit card debt. 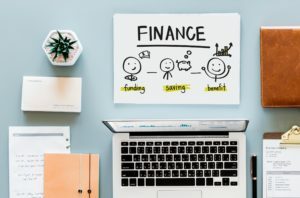 But, when my entire financial world fell apart in a SINGLE day, it set me on a powerful journey to understand how my culture, my family’s money dynamics, my subconscious beliefs, and so much more had silently disabled ALL of my financial security. Millions and millions of women around the world are on a similar path…either “thinking” they are doing it “right”, or not thinking about it at all. It puts a huge lump in my throat. And, I don’t like LUMPS. So, I created this money blog – for women – to help change this! Money Book lover who was not born this way…not even close! In fact, I started out as an art student and figured all this boring financial stuff was the domain of men. You should’ve seen the piles of financial books I’d bring home from the library for my husband to read…but he never did. Nor did I…until I realized the whole, amazing universe I was missing! “who is very supportive and insightful”. “who is sassy, smart and adventurous”. You can also find PRAISE from clients HERE. And, if you want to read about my FIRST Money Turnaround (I had two MAJOR turnarounds), you can find it HERE. Want to peek at my Bucket List to get an idea of what I’m always working toward? You can find it HERE. 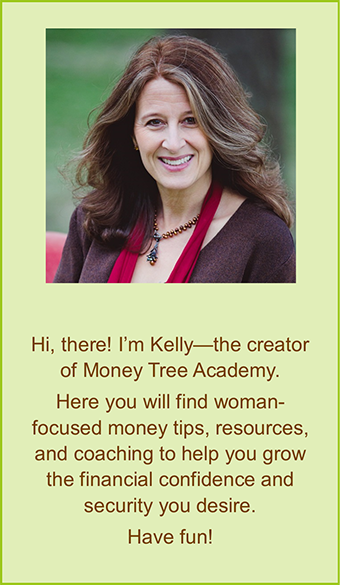 TRY a complimentary Money Tree Strategy Session to see what 1:1 coaching can do for you? Click HERE to book a time now. Or, Learn more about the types of personalized support available by clicking HERE. Don’t let another day pass you by as your Money Tree atrophies and struggles to give you the life you know you want.